As a lot of you know by now, Catrice is one of my favourite budget beauty brands out there. I love the fact they they're so readily available in just about every pharmacy / Dunnes and Penneys in the country now and the fact that they're cheap as chips! Cheap and good quality don't always go hand in hand, but this is fortunately the case for Catrice. Their nail polishes are better than some far other pricier options out there and the pigmentation in their lipsticks are awesome! They are constantly updating their stands, bringing out new collections, limited edition releases etc.. so it's always a treat to see what's on the shelves the next time you're in store. Today I picked up a few pieces and thought I would share them with you all. 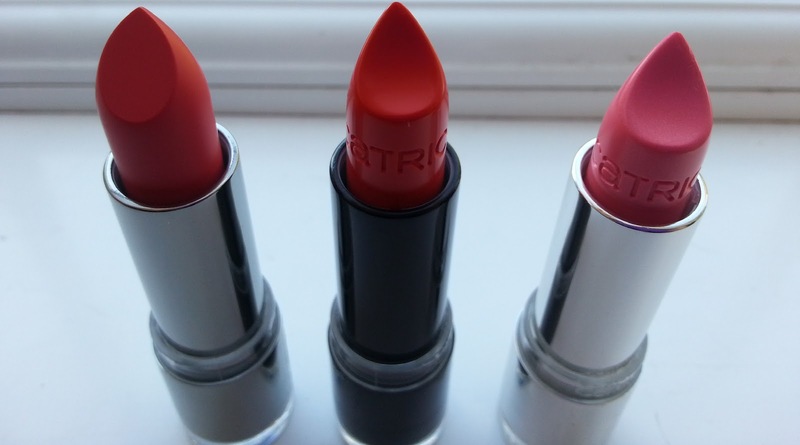 First up are 3 lipsticks I purchased. C01 in Colour Bomb from the Revoltaire Collection. "Velvet Matt Lip Colour" - This lipstick is from the beautifully presented Revoltaire collection. 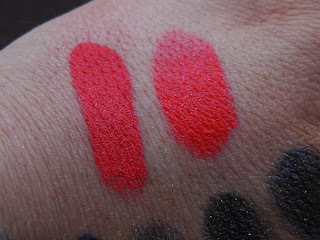 As the name suggests it's a real in your face, loud neon colour, which has a beautiful, long lasting matte finish. 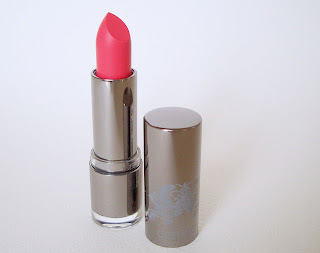 This shade is a gorgeous pink coral shade - so nice in fact that I picked up two of these babies so I have one as a backup. This lipstick is from the regular line and unfortunately it's about to be discontinued, so if you find one, snap it up quick! This is from the Ultimate Colour series and is No. 100. Lobster Love (love the name! ROCK LOBSTER! hehe) is a summer orangey/red with coral hues. This will be really nice for summer and will look great if you have a tan. Pink Panker from the Ultimate Shine range in No.160 is a yummy Barbie pink shade with micro silver irredescent sparkle. 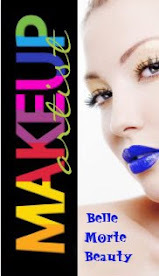 It's a lovely glossy shade that can be layered to give a more opaque look if required. It's a nice creamy, moisturising formula with good lasting power. What do you think of Catrice cosmetics? 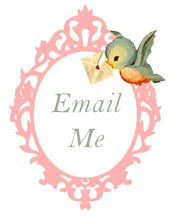 Got any fav Catrice products you'd like to share?